Hsadullah Khan Ghalib is regarded as the most important Urdu-language poet of the nineteenth century. He is praised in particular for his artful use of the short lyric form known as the ghazal, although he also wrote numerous volumes of letters and an account of the Sepoy Rebellion, in which Indian natives attempted to overthrow British colonial rule. An Orphan at Age Five. Ghalib was born into an aristocratic Muslim family in Agra. Orphaned at age five, he was reared with his brother and sister by maternal relatives. Ghalib started writing poetry in both Urdu and Persian as a child. At age thirteen, he married and moved to his wife’s home in Delhi, where, except for occasional travel, he resided the rest of his life. There he made the acquaintance of several prominent and influential poets and wrote both occasional and lyric poetry for patrons at the Mughal court. In 1827 Ghalib went to Calcutta on legal business and met a number of writers and scholars in that city and in Lucknow, gaining him admittance to the literary world outside of Delhi. Breaking with Tradition. While in Calcutta, Ghalib observed the material prosperity of British civilization and attributed this wealth to English academic and legal innovations. 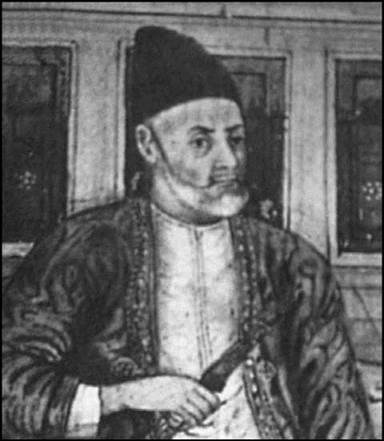 Thereafter, he began to challenge Indian institutions, especially the practice of educating Muslims in a dialect of Persian that varied from the traditional language in both vocabulary and grammar. Ghalib argued that Indians should write Persian as native speakers wrote it, and he presented his ideas at a symposium held by the university at Calcutta. Ghalib’s audience strongly criticized the unfamiliar style of Persian he was espousing, prompting him to condemn his opponents in Calcutta newspapers. His challenge to Indian tradition and his outspoken nature provoked animosity among many of Ghalib’s colleagues and involved him in a lifelong controversy. However, the quarrel also brought him greater attention, and the resulting correspondence with other scholars established his reputation as both an innovative writer and an uncompromising scholar. Rethinking Rebellion In 1841 Ghalib published his collected Urdu poems, Divan-i-Ghalib. His next book did not appear until 1849, when he produced Panj ahang, a handbook on the writing of letters and poetry illustrated with samples of his own work; throughout the next decade, he published only sporadically. Since the sixteenth century, India had been occupied by traders from various nations in Europe, many of whom hoped to colonize the land. By 1856, the majority of India was under the control of the British East India Company. In 1857 Ghalib was forced to reassess his great admiration for Western culture when the British rulers of India responded to the Sepoy Rebellion with bloody violence. Known as the ‘‘First War for Independence’’ in India, this rebellion marked a transfer of governing power from the British East India Company to the British Crown. Eighteen months after the start of the fighting, Ghalib published Dastanbu, his memoirs of the suffering brought on by the conflict, sending copies to various British officials, including Queen Victoria, both to plead for moderation in the treatment of Indians and to establish his own innocence in the rebellion. Motivated by the realization that most of his unpublished manuscripts had been destroyed when the rebels and British alike had looted the libraries of Delhi, Ghalib attempted to gather his remaining ghazals into expanded editions of his Divan. In the loneliness caused by the deaths and exile of many of his friends, Ghalib began to write several letters a day for solace; many of these were collected for publication. Despite rapidly failing health in his later years, Ghalib helped edit some of these collections, as well as critiquing poems sent to him by poets all over India. He died in Delhi in 1869. Washington Irving (1773-1859): Best known for his stories ''Rip Van Winkle'' and ''The Legend of Sleepy Hollow,'' Irving offered a turn to tradition and folklore reflective of an uneasy acceptance of the great changes of the early nineteenth century. Benoit Fourneyron (1802-1867): Fourneyron was a French engineer who designed the first usable water turbine. In making it possible to capture energy from moving water, he played a particularly key role in the development of industry and industrial machinery around the world. Mohammad Ibrahim Zauq (1789-1854): Zauq was a contemporary and rival of Ghalib's and served as tutor to the emperor of India. The two poets, while exchanging periodic jibes, apparently had a mutual respect for one another's abilities. Abraham Lincoln (1809-1865): Lincoln, the sixteenth president of the United States, was perhaps the most powerful antislavery advocate of all time. He pushed for and signed into law the Thirteenth Amendment to the U.S. Constitution, which abolished slavery. He was assassinated shortly thereafter. Charles Darwin (1809-1882): Darwin was an English naturalist whose theory of natural selection as a mechanism for evolution revolutionized the natural sciences. Spin-offs on his work, most notably by Herbert Spencer, who proposed a theory of social Darwinism, helped the British to justify their racist colonial enterprises to themselves. In Search of Lost Time (1913-1927, translated 2002), a novel by Marcel Proust. French author Proust's epic seven-volume novel meditates on the nature of time and memory and is shot through with grief and loss. The personal difficulties of physical infirmity and the cruelty of others are interwoven with the social catastrophes of World War I and the aerial bombardment of Paris. Austerlitz (2001), a novel by W. G. Sebald. Contemporary German author Sebald ties together a man's sorrowful search for memories of his father with the brutal and sickening history of the Holocaust throughout Western Europe. The Bell Jar (1963), a semiautobiographical novel by Sylvia Plath. In this work, American poet Plath chronicles her own experience of bottomless grief and depression, in part a response to her encounter with the teeming busyness, but also hopelessness, of New York City. The Ghazal. Ghalib’s experience of cultural differences between the East and West heavily influenced his work and linguistic preferences. In addition, his competition with and respect for Mohammad Ibrahim Zauq, a prominent contemporary of Ghalib’s, played a significant role in the development of his work. Although Ghalib wrote in several genres, his ghazals have generally been the best received of his works. Ghazals usually consist of five to twelve couplets that are linked by common meters and rhyme schemes, but not necessarily by subject matter or tone. They were written in both Urdu and Persian, although Persian poetry generally brought greater prestige. As a young man, Ghalib preferred to compose in Persian—which had a similar status to that of Latin in Western Europe of the Middle Ages—until he noticed a growing taste for Urdu verse among Delhi poets. From the 1820s onward, he composed increasingly in Urdu, and now is remembered chiefly for his Urdu writings. Critics remark that Ghalib expanded the range of themes of the ghazal genre and utilized conventional Persian and Urdu poetic devices in new ways. Expanding the Boundaries of Language. A nightingale singing in a garden for love of a rose was a common metaphor for a poet composing his works in response to a beloved, but unattainable, woman. Ghalib used the same allusion to suggest his interest in progress and modernity: ‘‘My songs are prompted by delight / In the heat of my ideas; / I am the nightingale / Of the flower garden of the future.’’ By identifying his symbolic beloved with a future age, Ghalib stressed his interest in change. He broke more strongly with established literary practice in his letters. Educated Indian Muslims usually wrote letters, as they did poetry, in Persian rather than in Urdu, while Ghalib wrote increasingly in Urdu. Moreover, in either language, letter writers customarily employed rhyming sentences and addressed their correspondents with flattering epithets. In place of such formality, Ghalib substituted colloquial language and nicknames or terms of endearment like ‘‘brother.’’ His letters proved so popular they were adopted as models by subsequent writers of Urdu. Today, scholars and artists look to Ghalib’s work for indications of the cultural and political climate in India during the nineteenth century. Ghalib’s on-going influence can be seen in the presence of films, plays, and a television series based on his life and work. Highly regarded for his contributions to the development of Urdu poetry, Ghalib was virtually unknown outside Urdu-speaking communities for decades following his death. His work, however, gradually came to the attention of Western readers, and the centenary of his death in 1969 was marked by several volumes of English translations of his poems, with critical notes and biographical essays. Recent scholars have focused in particular on his handling of ghazal stylistic conventions and his contribution to the development of Urdu literature, and they agree that his extraordinary skill as a lyric poet makes him one of the most prominent figures in nineteenth-century Indian literature. Writing in an era of colonial crisis and traumatic change in India, ‘‘Ghalib was not,’’ as Aijaz Ahmad writes, ‘‘in the modern sense, a political poet—not political, in other words, in the sense of a commitment to strategies of resistance. Yet, surrounded by constant carnage, Ghalib wrote a poetry primarily of losses and consequent grief; a poetry also of what was, what could have been possible, but was no longer.’’ It is important to note that his thematic focus on loss and sorrow coincides with a commitment to progress. That latter was perhaps most strikingly evidenced in his renewal of older themes and his investment in the Urdu language, then seen as the lesser cousin to Persian. 1. Read several of the ghazals in Divan-i-Ghalib. In your opinion, what are the crucial elements in Ghalib’s portrayal of loss and sorrow? Think about the symbolism and word choice in the poems. Be sure to cite and explain specific examples from the text. 2. Research the use of the Persian and Urdu languages in India. Does the use of one language over the other suggest a certain social standing? Why do you think Ghalib chose to work in Urdu in his later life? 3. As you read through Ghalib’s work, recall that you are reading Urdu texts in English translation—and that translation is always a process of interpretation. Pick three to five terms that seem crucial to you in one or two of the ghazals, and look back to the original Urdu texts. Now, find other possible translations of those terms. How might the meaning of the poem be different for you if the terms were translated in different ways? What does this suggest about the ways in which we experience and share meaning? What does it tell you about translation? 4. Research the Sepoy Rebellion. What caused this violent uprising, and how did it end? How did Ghalib use this real-life event as inspiration for his book Dastanbu? Ahmad, Aijaz, ed. Ghazals of Ghalib: Versions from the Urdu. Irvington, N.Y.: Columbia University Press, 1971. Ali, Ahmed, and Alessandro Bausani. Ghalib: Two Essays. Rome: Istituto Italiano per il Medio ed Estremo Oriente, 1969. Ghalib, Mirza Asadullah Khan. Dastanbuy: A Diary of the Indian Revolt of1857. Translated by Khwaja Ahmad Faruqui. New York: Asia Publishing House, 1970. Husaini, M. A., A. J. Zaidi, and A. H. Abidi. Ghalib: Life and Work. New Delhi: Ministry of Information and Broadcasting, Government of India, 1969. Jafri, Sardar. Ghalib and His Poetry. Translated by Qurratulain Hyder. Bombay: Popular Prakashan, 1970. Misra, Satya Deo. Ghalib’s Passion Flower—Consuming, Flower-Fresh, Heady. Delhi: S. D. Misra, 1969. Naseer, Javed. Discovery of Mirza Ghalib: The Urdu Poetic Genius. Bloomington, In. : AuthorHouse, 2005. Riaz, Ahmad. Ghalib Interpretations: Translation of Ghalib’s Selected Verse. Rawalpindi: Ferozson’s, 1996. Russell, Ralph, ed. Ghalib: The Poet and His Age. London: George Allen & Unwin, 1972. Russell, Ralph, and Khurshidul Islam. Ghalib, 1797-1869: Life and Letters. Cambridge, Mass. : Harvard University Press, 1969. Urdu Letters of Mirza Asadullah Khan Ghalib. Translated by Daud Rahbar. Albany: State University of New York Press, 1987.